So far in the story about how I learnt Chinese, I have talked about how I started learning Chinese in Sweden, then went to Taiwan and studied at various language centres and universities for two years. This kind of full-time studying is by no means unusual and progress is more or less guaranteed if you invest the time and effort required. The real challenge is to learn Chinese with a busy schedule, when you study the language in addition to working or studying other things. In my case, I completed my Master of Education in teaching Chinese and English for Swedish upper-secondary school (high school) while continuing to learn Chinese through socialising with exchange students, studying on my own and taking occasional online courses. This is what I’m going to talk about in this article! Coming home after a two-year stay in Taiwan was difficult. In a way, I got used to everyday life in Sweden very quickly and after just a few days, it felt almost like had never left. But only almost, something had still changed and I felt like I didn’t really belong the way I used to. I learnt a lot by living abroad, but it also put me on a very different path compared to if I had stayed at home. This is mostly a good thing, but I think everyone who has lived abroad will agree that it’s not only positive all the time. Still, this website is about learning Chinese, so let’s focus on that. After two years in Taiwan, my Chinese was reasonably good. I could have conversations about most normal topics and could read normal text in modern Chinese, albeit not very quickly in the case of novels and newspapers. My goal now was to graduate as quickly as possible. In Sweden, all teachers need two subjects, so the fastest route for me was to add Chinese to the English I had already studied. If everything went according to plan, that would allow me to graduate in two years (the whole programme is five years). To make sure I had enough academic credits in Chinese, I took a few courses at Swedish universities. Note that I did this while studying in the teacher’s programme, which was mostly unrelated to learning Chinese. 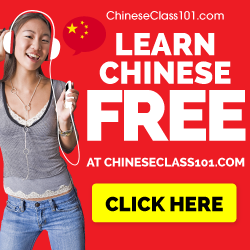 Modern Chinese literature – I took this course provided by Dalarna University, an institution focusing mainly on online education, especially in languages. The course was part of a package that was very poorly balanced. 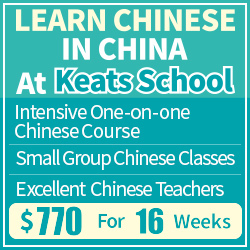 Having studied Chinese for about three years, I felt that this course was just right for me, but the other courses in the same package was at a much, much lower level. I originally planned to take the other courses as well, but dropped that idea almost immediately. Chinese fiction and non-fiction – This course offered by Lund University is meant to be full-time studying for one semester, but considering that I had studied much longer than was expected, I managed by preparing for one major exam and writing a bachelor thesis. The course itself was focused mainly on translation and my thesis was about third-tone instruction in Chinese textbooks. As most of you probably know, taking courses isn’t really enough, especially not if they’re online and focus mostly on reading and writing. Apart from earning academic credits through these courses, I also spent a lot of time with exchange students, mainly from Taiwan. 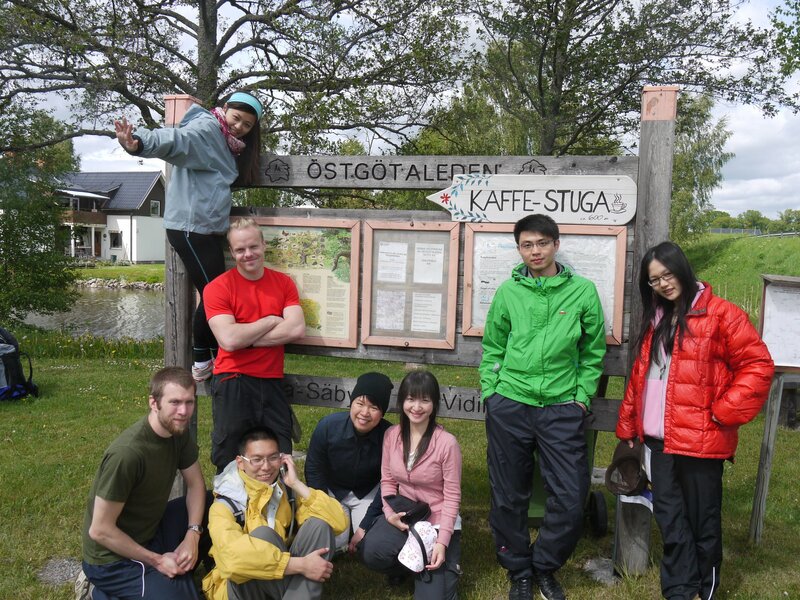 I felt that I had been very well treated and warmly welcomed in Taiwan, so I decided to repay that by helping newly arrived exchange students in Sweden. This meant participating in various events, helping them getting to know Sweden and going on various trips (hiking, skiing and so on). I was also invited to various social gatherings, which felt a little bit like returning to Taiwan. In general, I think universities are great places to find opportunities to practice Chinese in your home country. There are likely to be exchange students who speak Chinese and if they have just arrived, they are usually grateful for any local help they can get. 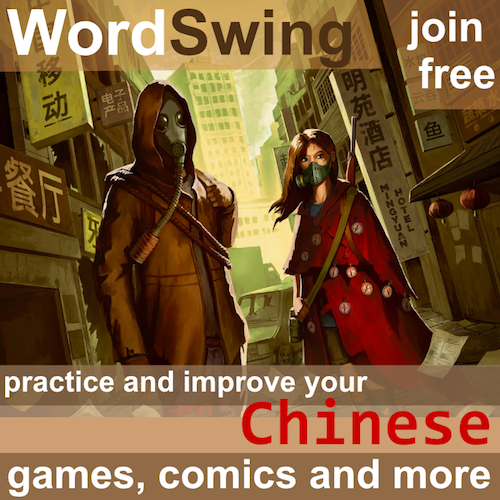 In return, you get to practice your Chinese. In my experience, this often develops into more regular friendships as time goes by. Apart from social forms of learning, I also spent a fair amount of time listening and reading. This is something which can easily be practised at home. In my case, I started reading novels and listened to a lot of radio programmes. Hacking Chinese was launched just after I returned from Taiwan. I had had plans to collect my thoughts about learning Chinese somewhere much earlier, but this was the first time I could focus on the project and get it off the ground. During this time, I was also responsible for Chinese conversation corners at the university and had several months of teaching practice. This wasn’t a complete shift in focus from learning to teaching, but it was certainly one big first step in that direction. 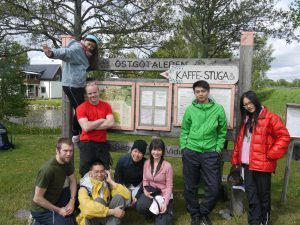 During my two years in Sweden, the next goal gradually came into focus: surviving a master’s degree program in Taiwan, taught entirely in Chinese mostly for native speakers. I prepared myself for this in various ways, for example by reading a few books that were required reading in some of the courses I might take. At the end of my two years in Sweden, I didn’t exactly feel ready to enrol in a master’s degree program for teaching Chinese as a second language in Taiwan, but since I now had by teaching degree and was accepted to the graduate programme at NTNU in Taipei, I felt ready enough to give it a try. That will be the focus of the next article in this series; stay tuned! Good luck with your future studying at NTNU. I am taking an intensive language course there now. I have to say that it offers very high quality language classes, and that I have heard many good things about its Huayu Department. That’s said, I am pretty sure that you will have the best education in the country pertaining to what you are passionate about. Best of luck with the future. It was great of you to take some time out to write your story. I have been here in China for 15 months now, got about 6 months left. I feel I have made huge progress, although it helped that I learned how to speak French 4 years ago (took me a mile!) so what worked for French I used to learn Mandarin. I can speak fairly well, and can read enough to ‘know what is happening’ (although I don’t read books/newspapers/long texts). I really, really struggle with listening however. It tends to not be what is said however, but the speed. I bought a book-CD learners set of a story and whereas I could read the book easily, when I listened to the CD I just couldn’t process it all quick enough. Last week I was in 国美电器 buying a radio. The guy was talking way too quickly and my brain just fuzzled. I have been told I speak very well and nail the accent. My friends have said that people think you are at an advanced level when you speak, and so respond normally. I was asking the guy about 短波 receivers but didn’t pick up any of his reply. 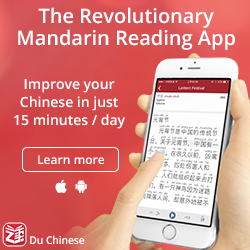 What can I do to improve my reading speed? It has not improved at all in 6 months. Listening to the wireless now they are all speaking too quickly! I think it is a Beijing-based finance station. GAAAA!! There is no simple trick, you just need to listen more. I’ve written a lot about listening ability, check the category entry in the sidebar menu or click categories in the top menu, then listening!